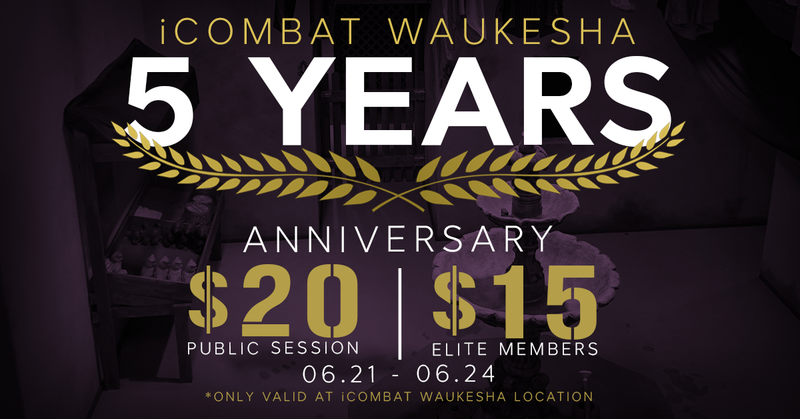 iCombat Waukesha: Happy 5 Year Anniversary iCOMBAT Waukesha! Thank you for an action packed 5 years at iCOMBAT Waukesha! Join us to celebrate our 5 anniversary on 6/21 -6/24 Elite members play for $15, regular sessions are only $20!